The Chinese mainland's choice of film for the Academy Awards' Best Foreign Language Film category has once again sparked controversy among movie lovers in China. After registration for the Oscars finished on October 3, rumors about which film would represent the mainland at the award show were finally put to rest. According to a report from domestic film database Mtime on Wednesday, insiders from the State Administration of Press, Publication, Radio, Film and Television (SAPPRFT) and the China Film Group Corporation confirmed that mainstream commercial film Xuan Zang - not award-winning artistic film Crosscurrent as many expected - would compete for the award. The choice came as a surprise to many. Although Xuan Zang, a historical feature film portraying the famous Tang Dynasty (618-907) monk Xuanzang's pilgrimage to India, had a large budget and featured A-list stars such as Huang Xiaoming and Xu Zheng, the film failed both commercially (33 million yuan; $5 million) and critically (5.4/10 on Mtime and 5.2/10 on review site Douban). Silver Bear winner Crosscurrent, however, had received high marks at home - despite being a relative unknown before heading to Berlin - and therefore was seen by many as the more promising Oscar competitor. This is not the first time that domestic audiences have questioned the merits of a mainland Oscar pick. In 2006, The City of Golden Armor was critically panned as one of the worst films of the year in China. In 2015, the preference for commercial success Go Away Mr. Tumor over Jean Jacques Annaud's more artistic Wolf Totem also stirred up plenty of discontent. "Actually, the major task of an Oscar entry is to stand as a type of cultural export, not to follow audience tastes. Therefore it needs to represent current mainstream values," Yule Zibenlun, an independent blog focusing on the entertainment industry, wrote in a recent post. It's worth noting that one of the major production companies behind Xuan Zang is the State-run China Film Group. During a time when the Chinese government is working hard to strengthen links with Asian and European countries with its One Belt, One Road initiative, Xuan Zang makes for the perfect representative film as it has been use to promote relations between India and China: Indian President Pranab Kumar Mukherjee even met with the movie's film crew during his visit to China in May. "Xuan Zang fits with the larger background of the 'One Belt, One Road' initiative. 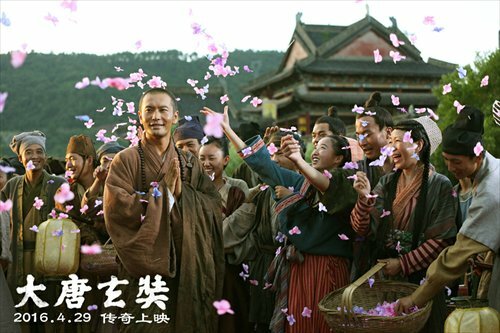 The film's director is one of China's representative sixth generation directors and the film story is a Chinese classic," Yule Zibenlun argued, further explaining why the choice of Xuan Zang should come as no surprise. Held up to this standard, Crosscurrent's scope doesn't seem grand enough, while the recent history it touches upon also makes it a somewhat politically sensitive film. Having little faith in Xuan Zang's chances to win, many Chinese film lovers are now pinning their hopes on Hong Kong's choice - suspense crime drama Port of Call. Directed by Philip Yung, the film was the biggest winner at this year's Hong Kong Film Awards, grabbing seven awards in total. Though the film hasn't made it to the mainland yet, recommendations from industry insiders and professionals, as well as the credibility of the Hong Kong Film Awards have increased filmgoers confidence in the film's Oscar chances. Lokah Laqi!, a coming-of-age film about three boys, will compete for Taiwan. 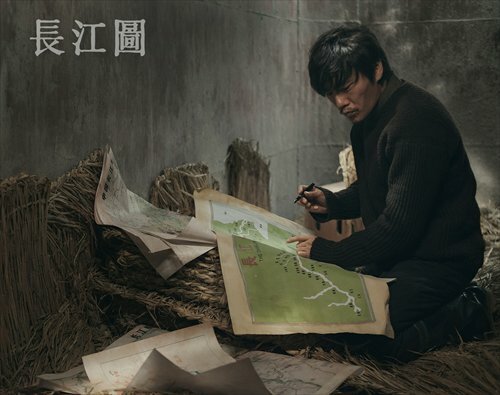 However, a lack of buzz about the film means it has been largely ignored by mainland film. Guo Jingsong is a movie critic based in Beijing.